Our homeland, the Philippines, is recognized as the only Christian country in Asia. However, whether we Filipinos can claim to be truly following, imitating Jesus Christ and living as "good Christians" is arguable (am not covering Muslims here). Functionally speaking, religion is supposed to give meaning to one's life and to be a source of ethical behavior, in the personal and social (socioeconomic and political) areas. Unfortunately, it seems that we Filipinos in the Philippines and abroad can not claim to be really leading such expected Christian lives -most especially with regard to ethical behavior in our homeland's sociopolitical arena, i.e. in government, business and military, as demonstrated in the rampant corruption, extrajudicial killings of peasants, workers, journalists and student activists, etc. Catholic Christians are a majority, but unfortunately, as such we generally do not seem to think and behave as truly good Christians in Philippine society. 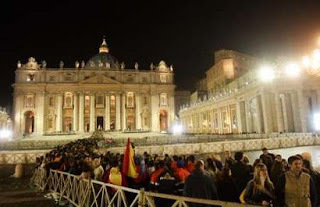 Most of us Filipino Catholics tend to be mainly observants of Catholic religious rites and church-made rules. We tend to over-spiritualize despite the Second Vatican Council (Vatican II), 1962-65 agenda of "aggiornamento" - of the church "bringing up-to-date," that is, as applied to our homeland: of encouraging true Catholics to attend more to social concerns, of applying righteousness in the treatment of the many poor and most vulnerable in our society. Sure, the rites and church-made rules underwent changes: for example, how the Mass is performed; or when to observe Friday abstinence. But these are all mainly symbols of Catholicism and are just externalities. Greatly missing in our Catholic Christianity are changes that define attitudes and behaviors as they might impact and shape how we, its members -the clergy and laity- engage in the world [i.e. Philippine society] or how to put our Christian faith to work in our society. I think and believe that these latter concerns are more relevant and much more important to our homeland's present predicament than when one's Catholicism or Christianity is defined solely through so-called Christian practices or religiosity which emphasize only the attainment of great personal piety and/or following church-made rules. One Catholic Christian teaching that seems to continually and negatively impact Philippine society is the pronouncement of the The Eight Beatitudes that says "How blest are the poor......those who hunger and thirst for justice.....Be glad and rejoice, for your reward is great in heaven." By repeatedly stating such, the impoverished and/or ignorant Catholic Christians are made complacent and content, discouraged to fight for even a "small place under the sun", that is, for decent living beyond their mere existence and survival. Such teaching that emphasizes otherworldliness is to disregard and exhibit callousness towards the present hell of the poor. It is the major reason why Karl Marx more than a century-and-a half ago has stated the phrase that ".....religion is the opium of the people". I think and believe that the Catholic Church [the catholic hierarchy, its bishops, priests and laity] should stop this kind of preaching and thinking. The same can be said of mainline Protestants and their Fundamentalist, Evangelical or Pentecostal variety. 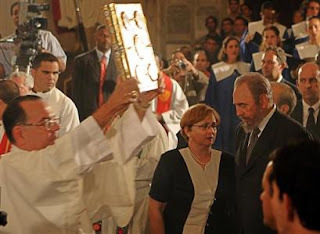 They concentrate and devote their attention on the Bible, give themselves to its literal interpretations, and thus wittingly or unwittingly, make a book the object of their idolatry [do they realize this?]. By stressing that personal salvation is only between himself and his God, the fundamentalists practice detached or escapist pietism; and generally tend to withdraw from involvement in sociopolitical activism in society [recently a few of its ministers run for political office, which I think should not be entered into by church people]. The Protestant belief system is consistent with and the root of American individualism in the American character/mind with its concomitant, conscious or unconscious, extreme competitiveness and selfishness. They withdraw into detached pietism because their Bible (Matthew 6:34) says: "enough of worrying about tomorrow and let tomorrow take care of itself." These words are great to hear and read if one is a member of the ruling class or the fortunate few who have money to afford conspicuous consumption, convenience, luxury et al., and thus be able to go on with one's merry ways. For them to proclaim or imply that the impoverished should not worry about his food for tomorrow, about his child's need for unaffordable medicine, to pursue his child's education, or his grandchild's future, etc. is by default to be in cohorts with the ruling elite, their foreign partners and multinational corporations/TNCs who want to perpetuate ignorance and therefore exploitation of the impoverished native majority; by indirectly, even unknowingly, supporting the oppressors, they become evil and "bad Christians" themselves. The overall effect of Christianity in our homeland is: to perpetuate a native populace that is characteristically too passive, too submissive, too preoccupied with otherwordly and spiritual matters, which result in their inability to function effectively in worldly politics, to assert, claim and exercise their rights. These Christian "virtues" of us native Filipinos only bred/invited: tyranny as Marcos has demonstrated, the external piety of Cora Aquino with her incompetence and thus no concrete benefits to the native majority, the supposed efficient/successful rule of Fidel Ramos that signed on to the destructive rich nations-controlled WTO , to the pro-poor rhetoric of Joseph Estrada, to the colegiala Gloria-Macapagal Arroyo, to Noynoy Aquino who won his presidency due to our naive sentimentality. All these rulers through their direct/indirect corruption, greed, servility to foreigners, keeping the poor ignorant, etc. perpetuate(d) the poverty and misery of our native majority thanks partly to our medieval Christianity. Two centuries ago, Jean Jacques Rosseau wrote with obvious contempt: "True Christians are made to be slaves, and they know it, and do not much mind; this short life counts for too little in their eyes." NOTE: I would like to remind others though that Roman Catholicism or Catholicism/Christianity in itself does not necessarily lead to poverty/misery as there are developed countries known as Catholics/Christians; where such a thing we may call "mature Christianity" does exist. It is time for Filipino Christians to actively work to change Philippine governance, to make the government truly responsive to its suffering citizens -to help free them from extreme poverty, which in turn robs them of their human dignity. Filipino Christians should make their religious faith alive by not wasting time on and discarding their old-Reformation debate about "scripture or tradition" and instead work together to create a Filipino society that will materially and decently sustain the majority, if not all, of native Filipinos and accord them with dignity and destiny as persons. Specifically, we native Filipinos can contribute and/or work to "conscienticize" ourselves and our impoverished native majority, i.e. 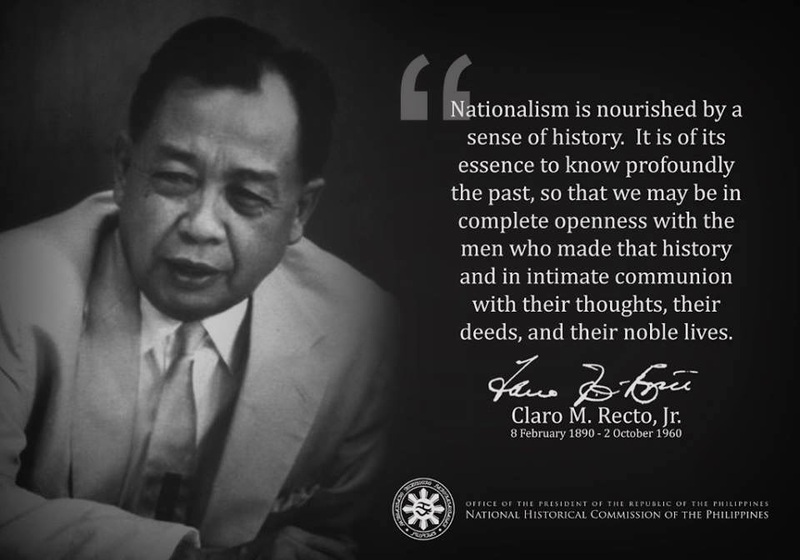 to raise (our) their consciousness, thus understand the institutions and systems that oppress them, to enable them to think critically as they interact in society with the sources of their oppression and to make them aware that they are important and of equal worth as persons [served well by the Basic Christian Communities during the martial law years]. Unfortunately, Roman Catholicism, just like any human organization, varies with its rulers/leaders. I personally have great admiration for (Blessed) Pope John XXIII, who initiated Vatican II; whose background was that of a peasant family and thus truly identified with the poor, whose ideas were revolutionary but sadly short-lived due to cancer, which ran in his family. Pope John Paul II was very popular, an aspiring actor in his youth and thus tooled to gain popularity like Ronald Reagan, sent ambivalent signals: revolutionary for his native Poland but exhibited a reactionary behavior towards the Latin American revolutionaries, i.e. Nicaragua, El Salvador, etc. The current Pope Benedict XVI was Pope John Paul II's theological hitman, extremely intelligent. Benedict XVI was quite progressive during the Vatican II years but became highly conservative today; he was foremost in attacking Liberation Theology (an offshoot of Vatican II). [I think and believe that John Paul II's and Benedict XVI's anti-progressive stance is mainly due to their close-mindedness and ignorantly equating communism with nationalism/anti-imperialism (not realizing that communism is essentially against nationalism, as former has used latter, i.e. by Joseph Stalin during WW2.) As communism has been atheistic, all popes have been supportive of any ideology fighting it (sort of - "the enemy of my enemy is my friend"). Thus in recent history (1930s-1980s): the Roman Catholic Hierarchy has generally supported and/or made concordats with Spain's Fascist Generalissimo Franco, Italy's Fascist Mussolini and Nazi Germany's Hitler -all three at war with republicans, socialists and communists. All native Filipino Christians should work to improve Philippine society, to reform it and if necessary, to revolt against its oppressors. Armed with conscious knowledge and understanding of "what's going on," they ought to pressure the government to perform its raison d'etre: -which main responsibility is to promote and work for the common good of the native majority. “My church feeds the hungry. My church comforts the sick and dying. What does your church do? That’s right — you don’t have one.” from Angel's and Demons. I find it difficult too to distinguish the church from the actuation's of the people you have mentioned. Still, it is My Church you call my opiate. Come be comforted inside if you are not so comfortable yet.